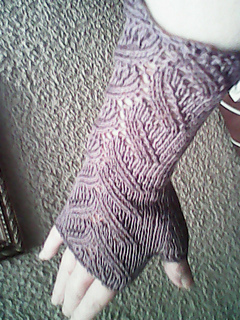 These mitts have a lovely foliage lace patten which runs along the back of your hand and arm. Perfect for strolling through autumn leaves or drinking tea. 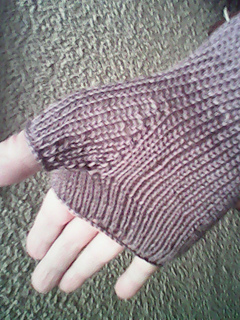 Two 50g balls of yarn are needed to complete these mitts.